Rare opportunity to own an independent salon that's been serving clients in the DC metro area for over 25 years. The talented team of stylists offer the full suite of cutting, coloring, hair straightening, and related services to a diverse and loyal clientele. They also offer makeup, manicure, pedicure, and waxing services. The salon is located in a bustling part of the city in close proximity to major commercial and residential areas.The salon has seen steady and consistent growth over the years and is poised for continued growth. The owner and founder has decided it~s time to retire after building and running this successful operation. The owner will stay on as a stylist if needed, but is more than happy to turn over the keys to the right buyer as well. This is the perfect opportunity for a current salon owner looking to expand their business or a stylist looking to set out on their own without the headaches of starting a salon from scratch. 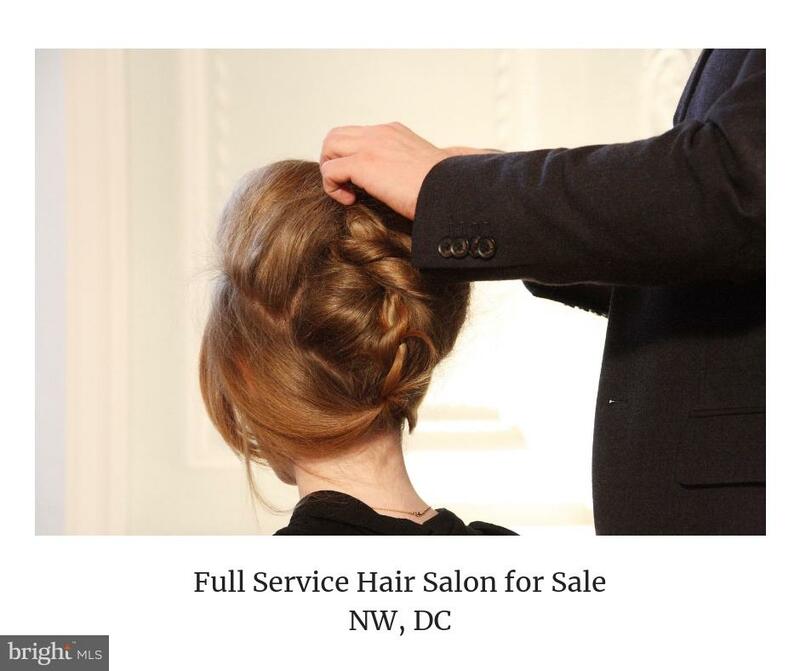 The combination of over two decades in business, a stellar reputation, and attractive lease terms are nearly impossible to find in the DC salon market. Don~t let this opportunity pass you by and contact us today! Listed by Katherine D Herzig of Golston Real Estate Inc.